The Wearbands Training System is a welcomed addition to any travel workout. Working out during travel can be challenging. 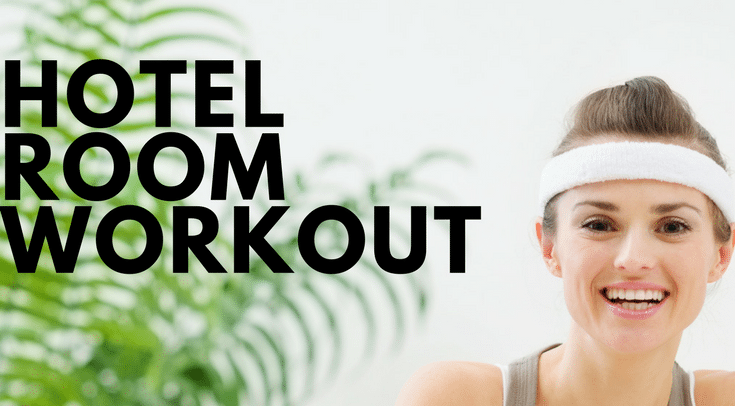 Not every hotel has an adequate gym and limited packing space restricts options for workout equipment you can travel with. 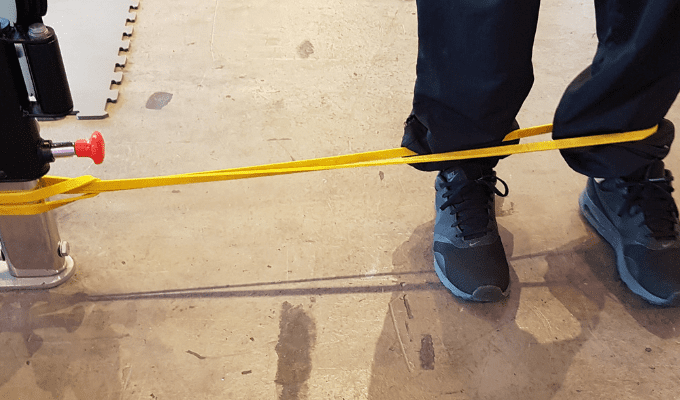 This week, we evaluated the Wearbands® training system as a new exercise tool for travelers to enhance hotel workouts. Casey and I trying out the Wearbands. As the name suggests, the Wearbands® training system is a wearable resistance band system that adds no-impact resistance to any movement. The idea behind Wearbands® is to add resistance to something you were already doing (running, plyos, yoga, walking, etc.). Essentially, Wearbands® create the opportunity for a more efficient and challenging workout. And when we say more efficient, we are not kidding. You will burn an extra 20-25% more calories when you add Wearbands® to your workout. Admittedly, I had a hard time understanding the logistics of Wearbands® until I tested them. Initially, it felt like I forgotten how to walk. The resistance added by Wearbands® was immediately noticeable. After my brain caught up with my body movements, I tried a variety of plyometrics and jogging movements. I found the resistance to be challenging enough that my muscles were burning earlier than usual, but not so difficult that my form was compromised. 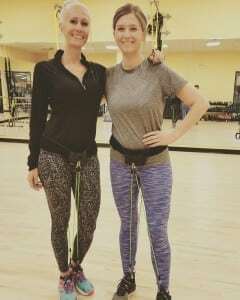 The biggest benefit that I realized is the Wearbands® provide hands-free resistance, meaning you can do body weight exercises like Mountain Climbers or Burpees or you can wear it while doing yoga or using a TRX. The Wearbands® Training System includes two neoprene type socks, a belt and two bags that contain resistance cords. The socks have clips on the front and back. You can wear your shoes over the neoprene socks or you can just wear the neoprene socks alone if you prefer to be barefoot. After you put the socks on, you strap into the belt. The belt is rather large for someone with a more petite frame, but as of this review the belt is “one size fits all.” The Velcro on the belt allows for some adjustment. The belt has four clips, two on the front and two on the back. 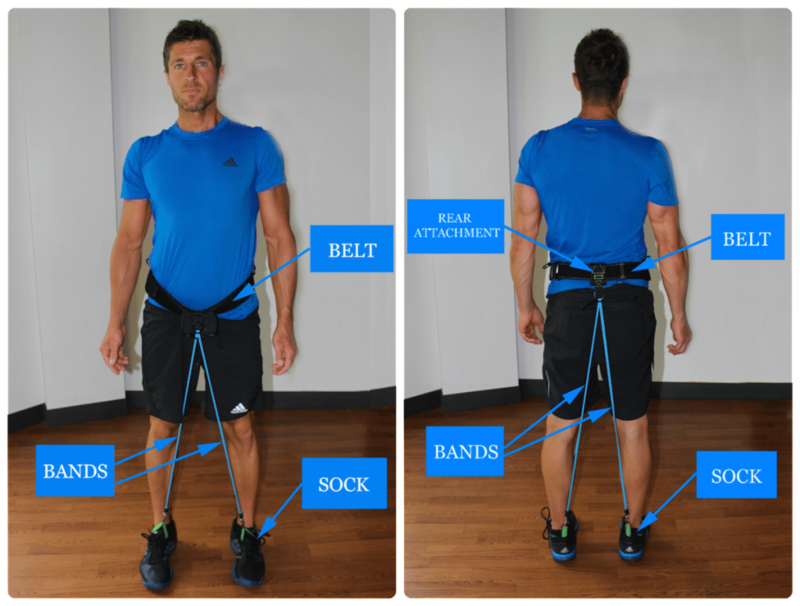 Once you have the belt on, you will clip one end of the matching resistance bands to the front of your shoes and the other end to your belt, while the other set clips to the back of your shoes and belt. Once you are strapped in, the fun will begin. 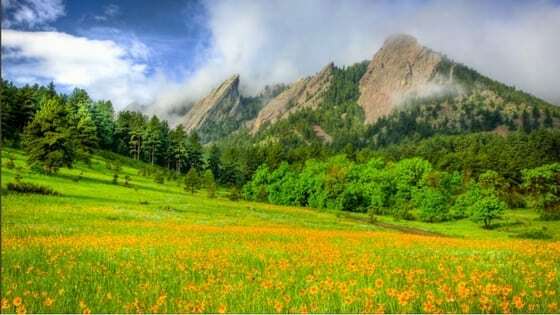 You can see an informative video here. This is how the Wearband is worn. 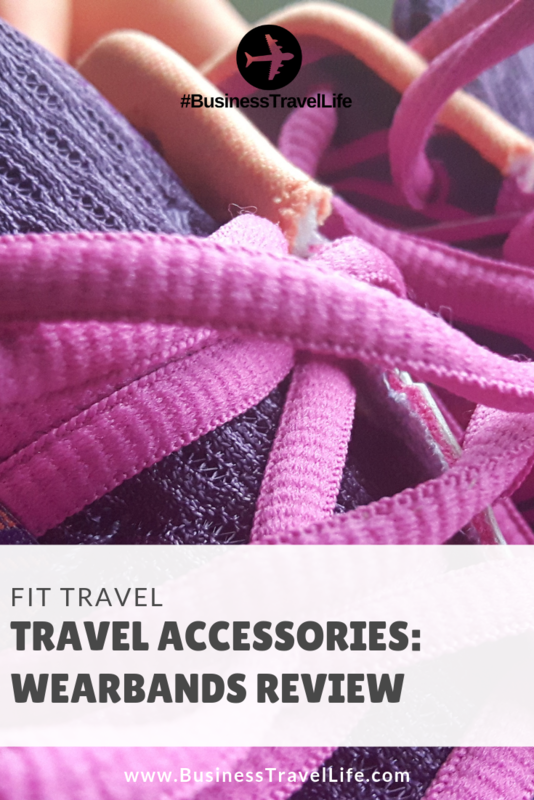 The travel workout possibilities are unlimited with Wearbands®. Check out this video to see examples of WearBands in action. You can purchase Wearbands® directly from WearBands.com. You can choose from two different systems. One system includes three levels of resistance for $84.95 and the other system includes six levels of resistance for $99.95. Wearbands® is offering Business Travel Lifers a 10% discount! Enter promo code businesstravel at checkout to receive a 10% discount on your order!